As with many other product categories, Amazon has made a significant incursion in Apparel — a key battleground category in retail today. Recently, DataWeave once more collaborated with Coresight Research, a retail-focused research firm to publish an in-depth report revealing insights on Amazon’s approach to its US fashion offerings. Since our initial collaborative report in February this year, we have witnessed some seismic shifts in the category at both the brand and the product-type level. Firstly, we identified all brands included in the Top 500 featured product listings for each product subcategory in both the Women’s Clothing and Men’s Clothing sections featured on Amazon Fashion (e.g., the top 500 product listings for women’s tops and tees, the top 500 product listings for men’s activewear, etc.). 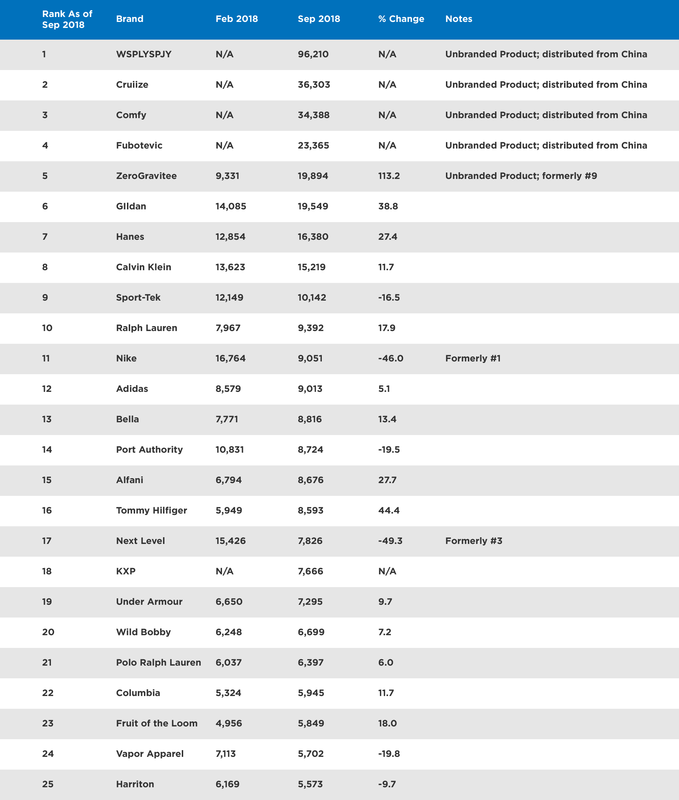 We believe these Top 500 products reflect around 95 percent of all Amazon.com’s clothing sales. This represents 2,782 unique brands. We then aggregated the data on all product listings within the Women’s Clothing and Men’s Clothing sections for each of those 2,782 brands. This generated a total of 1.12 million individually listed products. This expansive list forms the basis for our highlights of the report. We identified a total of 1.12 million products across men’s and women’s clothing — a significant increase of 27.3 percent in the seven months between February and September 2018. The drivers of this sharp spike are third-party seller listings. 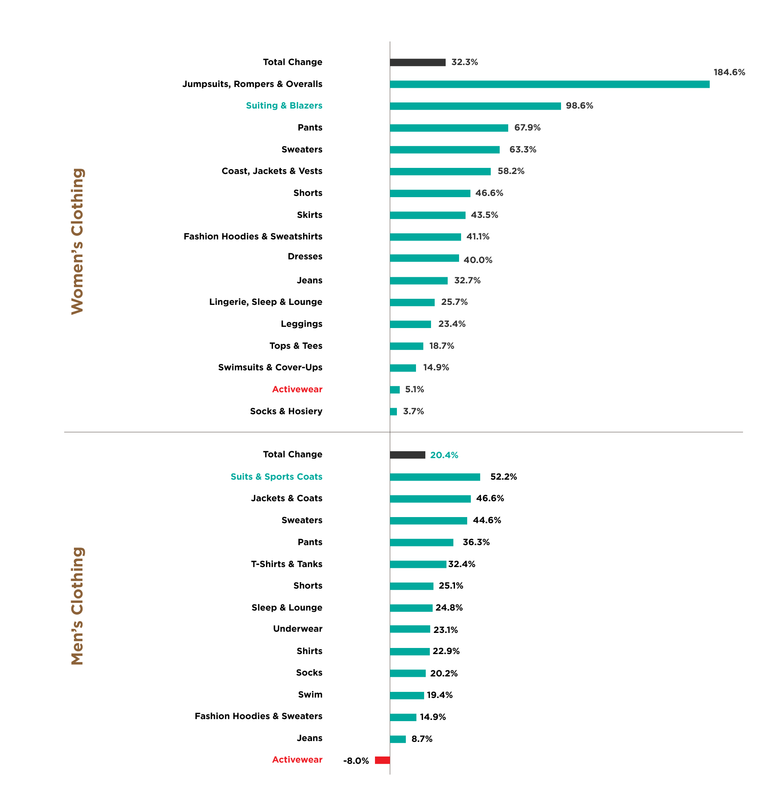 In contrast, the report indicates only a 2.2 percent rise in first-party listings over the same period, compared to a 30.5 percent jump in third-party listings. In addition, Amazon has listed just 11.1 percent of all clothing products for sale, with third-party sellers offering the remaining 88.9 percent — an indication of the strength of Amazon’s open marketplace platform. In just over six short months, major brand shifts on Amazon Fashion have taken place. The number of Nike listings has plummeted by 46 percent, driven by a slump in third-party listings following Amazon’s new partnership with Nike — a story recently covered by Quartz. Limited growth in Nike clothing first-party listings failed to compensate for this decline. Gildan’s spike in total product listings appears to be fueled by increased first-party listings off a low base. Calvin Klein’s 2017 agreement to supply Amazon with products appears to be driving the Calvin Klein brand’s double-digit uptick in first-party listings on Amazon Fashion. Aéropostale’s decline appears to be entirely driven by a drop in its third-party listings. The brand itself is not listed as a seller on Amazon.com. 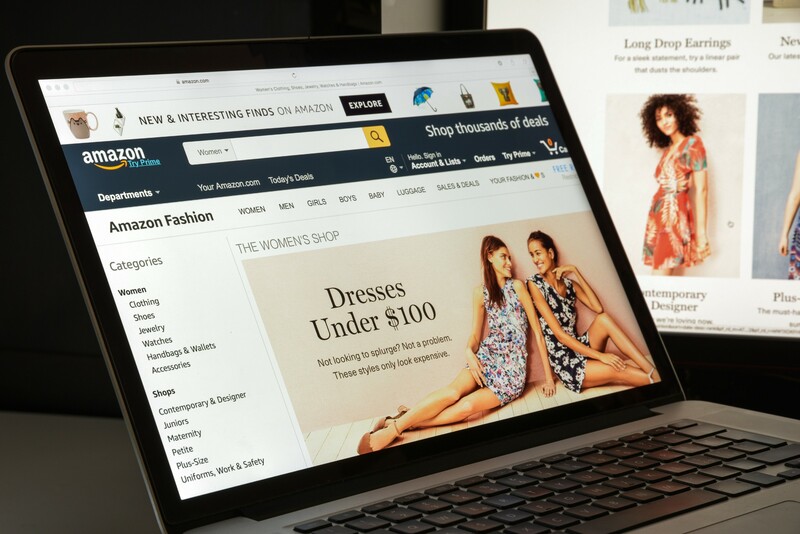 As its Fashion footprint rapidly matures, Amazon now appears to be rebalancing its portfolio with strong growth being shown in listings for formal categories such as suits and away from sportswear. We recorded a 98.6 percent increase in listings of women’s suits and blazers complemented by a 52.2 percent rise in men’s suit and sports coat listings between February and September 2018. Over the past six months, low-price generic brands have made major inroads into Amazon’s listings. Four unknown “brands” captured the top positions on the list of brands offered on Amazon Fashion. The WSPLYSPJY, Cruiize and Comfy brands appear to be shipped directly to customers from China. WSPLYSPJY alone accounts for fully 8.6 percent of Amazon men’s and women’s clothing listings. Cruiize accounts for a further 3.2 percent of listings while Comfy chips in another 3.1 percent. Amazon’s fashion offering is fast maturing. We saw substantial growth in the number of listings for more formal categories. The realignment in third-party listings by Nike together with increased first-party listings for Calvin Klein and Gildan appear to be driven by alliances with Amazon. Simultaneously, ultralow-price generic clothing items delivered on order from China have inundated the “Most-Listed Products” rankings. Third parties now represent nearly 90 percent of Amazon Fashion’s offering. While Amazon Fashion shoppers enjoy a wider choice than they did even six months ago, we believe a stronger emphasis on first-party listings would grow the products eligible for Prime delivery. This tactic could strengthen Amazon Fashion’s long-term appeal as a shopping destination. If you’re interested in DataWeave’s technology, and how we aggregate data from online sources to provide unique and comprehensive insights on eCommerce products and pricing, check us out on our website!